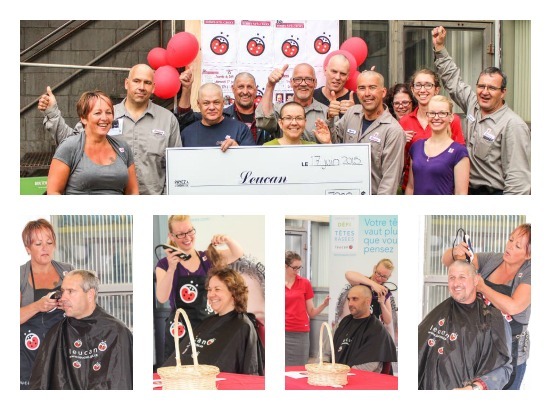 Bibby-Ste-Croix Team Members Let their Hair Down to Find a Cure | McWane, Inc.
Posted on July 7, 2015, in Community Involvement & Giving and tagged Bibby Ste. Croix, cancer, community, cure, donation, hair, McWane. Bookmark the permalink. Comments Off on Bibby-Ste-Croix Team Members Let their Hair Down to Find a Cure.